You’ve spent a lot of money either buying a home with, or installing, your dream feature – a pool. They key to managing the on-going cost of maintaining a pool, and continuing to enjoy your pool with the minimum amount of effort, is to ensure that you do not neglect your pool once the warm weather is over. By following our tips, we hope you find that once the winter hibernation period is over, it is not long before you are back to enjoying your pool, with the minimum amount of fuss. Not only does the end of the warm weather present the ideal time for a spring clean of your pool, it will assist in limiting the likelihood that you will be faced with a green pool due to algae or bacteria that is harmful to your health. Do not simply rely on your pool’s vacuum, although it remains a valuable part of the cleaning process. 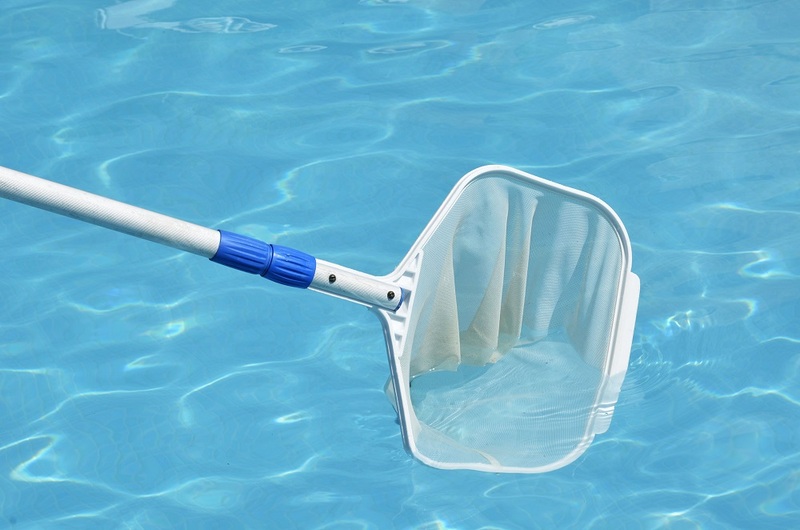 Clean the pool in its entirety, including scrubbing all surfaces, tiles, grout and cleaning additional equipment, including the filters, skimmer and pump. Ensure that you remove leaves, sticks and other debris. The chlorine level of your pool will depend on the type of pool you have. If you are unsure, take a sample of pool water and the details of your pool type to your nearest pool specialist for advice and assistance to find the correct pool chemicals. You also need to check that the pH level of your pool is at the correct level of alkalinity. It is possible that it is recommended that you “shock” your pool. This means using higher than normal levels of chlorine or other non-chlorine chemicals for a short period of time to kill algae, “combined chlorine” and/ or bacteria, if significant levels of organic growth are detected. There are a number of reasons why you should cover your pool as the weather cools. First, it can keep your pool’s temperature a little higher, allowing you to make use of the pool during the cooler months, without relying on other methods of heating. The use of a cover will also reduce debris falling into your pool, which tends to increase in autumn and winter due to the increased falling of leaves and flying debris due to strong winds. It is recommended that, from time to time, you remove the pool cover during winter to reduce the likelihood of algal blooms, which may increase the need for chemical treatment and cleaning of your pool. Whether or not you choose to make use of your pool during winter, you should still run your pool pump daily to circulate pool water both as part of the chemical maintenance schedule and to make it more difficult for organisms to grow in your pool. Likewise, the filter also assists in ensuring that organisms find it more difficult to take hold, and should operate daily. A filter backwash should be performed every month to ensure it operating efficiently. The recommended time frame for running a pool filter during the winter maintenance period varies from as little as three, to as much as six hours per day. It is recommended that you speak with your local specialist to determine the most effective length based on your pool. Continue to check your pool regularly – at least fortnightly. Ensure that the water balance is correct, that unusually warm weather hasn’t significantly evaporated water levels, and that there is no debris in the pool. Regular running of the pool’s filtration system, along with proper pool care, should reduce the risk of significant malfunction, but nevertheless, you should ensure pool equipment is checked for signs of decreased functionality. Consistent maintenance of your pool is the secret to a quick and enjoyable return to its pristine waters when warmer weather finally rolls around. If you aren’t confident that you will be able to add pool care over winter to your routine, Contact Us to see how we can help maintain your pool.